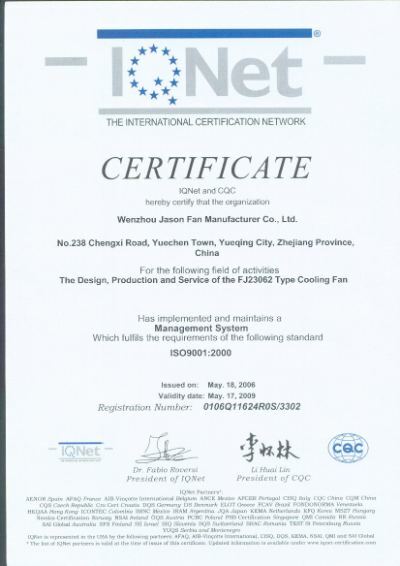 Company Overview - Wenzhou Jason Fan Manufacturer Co., Ltd.
11YRSWenzhou Jason Fan Manufacturer Co., Ltd.
We are specialized in developing and producing axial fans, centrifugal fans and air filters in different sizes with high quality in the cooling and ventilation fields. All of our products are reliable and they can work in harsh circumstance efficiently. They are featured in High airflow, Low noise and Durable life. Our company reposes on a simple Chinese city - Yueqing, which is famous for low-voltage electronics and precision industry around the world. Meanwhile, Jasonfan takes charge in offering the newest technique information and high-qualified design of products to all corporations. We took the spirit of this city and named our company Jasonfan. Since our company came into existence, we have gained a good reputation in and out of Chinese market with outstanding quality and efficient service. 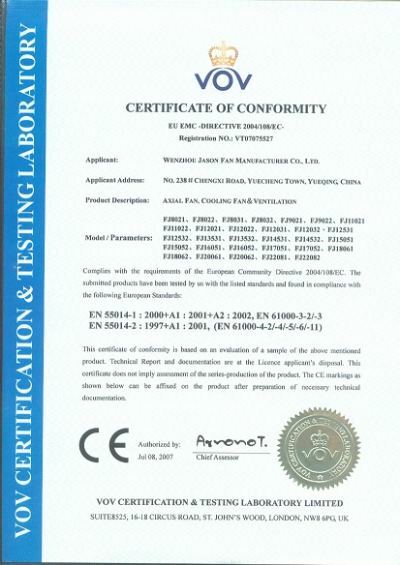 Now clients from Australia, South Africa, Spain, Italy and other countries all designate to use our products. At the same time, we have set up a sales web-system covering almost all main cities in China, such as Beijing, Shanghai, and Chengdu. 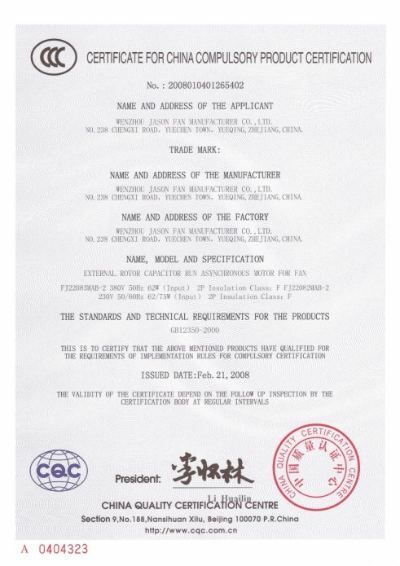 Jasonfan has already obtained ISO9001:2000 national certification. 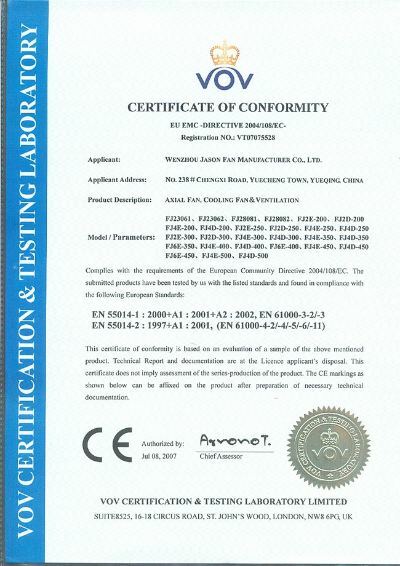 Our products have got CSA, RoHS, CE, and CCC approvals. 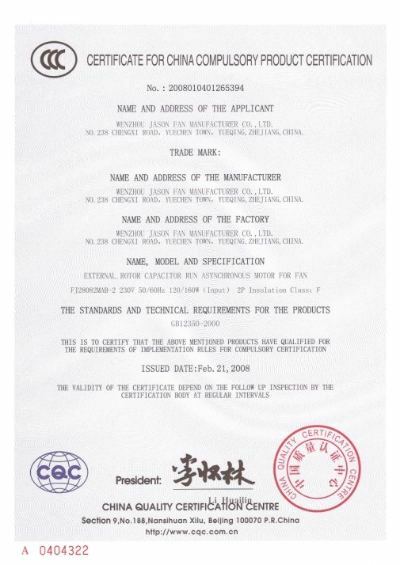 As our company develops quickly and steadily, up to March 2006, we had owned three factories, covering almost 4,000 square meters. At present, our monthly capability is more than 200,000 units of fans, 89% of which are produced by ourselves, including mold design, mold pouring, SMT disposal and all other assembling. 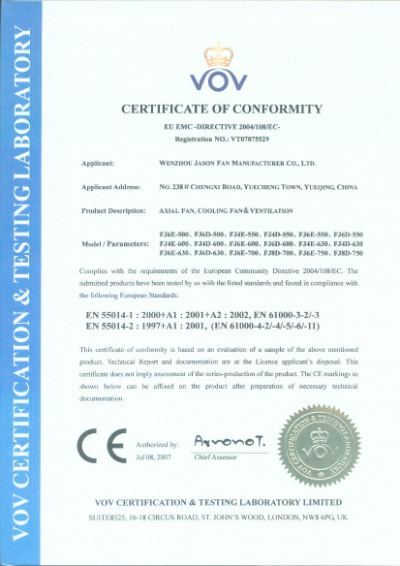 Devoted to the development of fans and insisting on high quality are the spirit and the principle of our company. 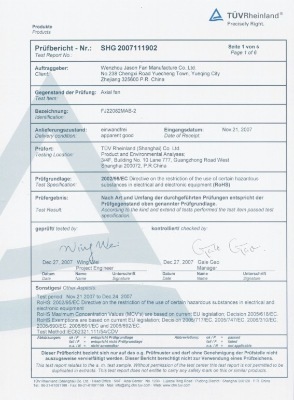 We will try our best to satisfy the most rigorous inquiries of customers and make Jasonfan a worldwide welcomed brand.